In 2013, statistics showed that the global value of FinTech industry stood at approximately $3 billion. In 2014, it gained traction by gaining about $12 billion in investments. By 2015, that figured crossed the $20 billion mark. The year 2016 saw a good deal of disruption and brought about some major changes in the industry. It was expected that these changes would have tremendous impact on the direction that the industry took in the year 2017. 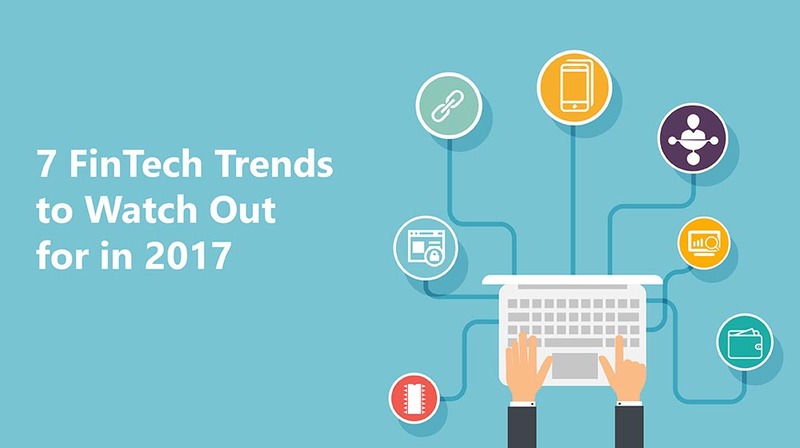 Here are some of the trends that were expected to dominate the FinTech industry in this year 2017! The FinTech industry and traditional banking industry have always competed for customers. In the year 2016, this changed completely with these two industries joining hands to deliver better customer experiences. This enable better customer retention and greater revenue generation for banks while the FinTech industry gains legitimacy from the collaboration. The aim for the coming years will be to provide services that are faster and more convenient with broader integration, that will in turn drive the growth in the industry by enabling banks keep pace with the expectations of their customers. Another opportunity lies in the form of frictionless payments that allows organizations to build a seamless customer experience even in the brick and mortar retail industry. FinTech in collaboration with other detection technology can allow customers to build their virtual carts even in brick and mortar stores that allows them to walk straight out after an online transaction. The first evidence of this can be seen at the Amazon Go store based in Seattle! Prediction goes that by 2021, you will no longer need to take your wallet with you when you leave your house. It is expected that FinTech companies in collaboration with banks will make one click payments and card less/cash payments a lot easier; and stores will accept payments made using your handheld. The need for various cards and cash will reduce a great deal. With ransomware and other virus attacks becoming a matter of ‘when’ instead of an ‘if’ along with contactless transaction gaining popularity, security is paramount and simple finger printing alone will not provide the security needed. Financial institutions who are engaged in KYC and the FinTech industry by large are moving towards the use of biometrics like retina scans and facial recognition. With the buying patterns and expectation of today’s generation changing, the way they make payments and bank is also expected to change drastically. The future lies in solutions that integrate social media with banking transactions. A prime example of this would the integration of e-commerce with WeChat in the China enabling the users make ecommerce purchases through the chatting app. Another example of this is Airtel money in India. Another trend that is expected to catch up is the use of smart phones for transactions. Statistics indicate that in the US alone, 76% of the adult population have smart phones. Another study by Google indicates that 82% of all smart phone users depend on their smart phones and their functions to make decisions. This has an obvious impact on the banking and finance industry too. The number of people using P2P apps to make monthly payment is on the rise and will continue to grow over the years. The rise of Venmo in the US and PayTM in India into giants is clear indicator of the direction of the future. Artificial intelligence will allow the integration of traditional banks and FinTech start-ups to deliver seamless customer experiences. The combination of APIs with the ability of AI to break down large volumes of customer data will enable the creation of integrated and relevant solutions that will raise the bars of customer experiences to new heights. Oliver Bussmann thinks 2017 will be the ‘year of the pilot’ for blockchain in financial services, as it moves from proof-of-concept into production. Blockchain makes it possible for a digital ledger of transactions to be created and shared among a distributed network of computers without the transaction details being duplicated or copied. This presents significant opportunities for solutions to be created that enable verification of documents and transactions. This presents great opportunities in the field of trade finance solutions. We wait for the end of the year eagerly to take a look back the events and see how many of these predictions actually come true!